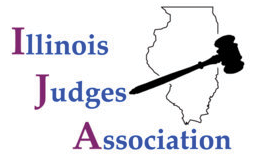 The Illinois Judges Association (IJA) is pleased to announce that IJA 3rd Vice President Judge Barb Crowder of Edwardsville has been appointed as Chair of the Civil Practice and Procedure Section Council of the Illinois State Bar Association (ISBA). Judge Crowder is also a member of both the ISBA Standing Committee on Legislation and the ISBA Privacy and Information Security Law Section Council for the 2018/19 year. “Section councils and committees are the backbone of the ISBA,” said James F. McCluskey, of Lisle, ISBA President for 2018-2019. “Leadership is vital to the success of these groups,” he added. The 28,000-member association, with offices in Springfield and Chicago, provides professional assistance to Illinois lawyers and education and services to the public. Sections provide continuing education and legislative services to lawyers who practice in a specific area of law. 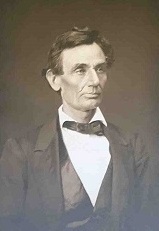 Each section is governed by a council appointed by the state bar president. As Chair of the Civil Practice and Procedure Section Council, Judge Crowder helps coordinate the programs of the 41-member section council. Its mission includes enhancing the knowledge and professional capabilities of lawyers who practice civil law in all its substantive branches, promoting improvement in the civil law system and studying areas for reform. The Privacy and Information Security Section was created in recognition that the field of privacy law is evolving at an exponential rate and it hopes to educate ISBA members about privacy and information security law along with providing timely analysis of global developments in cybersecurity, privacy, and data protection law. The Standing Committee on Legislation has the responsibility for committee execution of ISBA’s legislative program. Judge Crowder will be involved in assisting both of those groups in addition to her tasks for Civil Practice. “I am excited to participate in the ISBA councils and committees. The ISBA and IJA share many of the same goals. We all strive for a fair and impartial court system that effectively enables lawyers and the public to resolve legal problems,” noted Judge Barb Crowder. Judge Barb Crowder earned both her undergraduate degree and her J.D. from the University of Illinois in Urbana-Champaign. In addition to being an officer in the Illinois Judges Association, she is a Past President of the Illinois Judges Foundation and sits on its Board of Directors. Judge Crowder is also the Chair of the Third Judicial Circuit Pro Bono Committee and co-chair of its Family Violence Prevention Council. She has previously chaired other ISBA committees: the Family Law Section Council, Bench and Bar Section Council, and the Standing Committee on the Delivery of Legal Service. Judge Crowder resides in Edwardsville with her husband, attorney Lawrence O. Taliana.